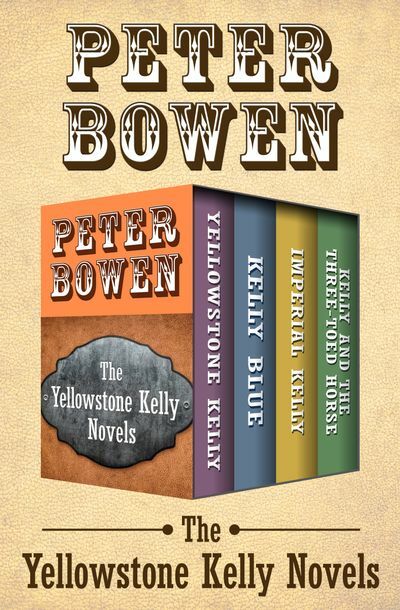 Four fast-paced novels based on the real-life frontier adventures of Yellowstone Kelly, one of the Old West’s most legendary soldiers. Luther “Yellowstone” Kelly had one of the longest, strangest, and most breathtaking careers in the American West. The intrepid scout’s talent for being in the right place at an exciting time would take him all over the world, from the Great Plains to Africa to the Philippines to Cuba. Throughout his adventures, Kelly maintained a stoic outlook, a fierce wit, and a talent for survival that got him out of more than a few dangerous scrapes. From hunting wolves with the Nez Percé to encounters with Jim Bridger and Brigham Young to a stint with the Rough Riders, in these four novels Yellowstone carves an exciting, hilarious, and unforgettable path through the Old West—maintaining his trademark humor and fortitude, always finding his way through even the stickiest mess.